Why is Groupon Called Groupon? There is a Mitch Hedberg joke about connections that most accurately portray how important they can be to the success of any given person. He says, “I wanna have my face on the cover of a Rice Krispies box. ‘Snap, Crackle, Mitch and Pop.’ In Hollywood, it’s all who you know, and I know Crackle!” Perhaps if Groupon founder Andrew Mason had been a comic, he’d have made a similar joke. Andrew Mason was working as a developer at Groupon’s Co-Founder Eric Lefkofsky’s InnerWorkings in 2006 when Lefkofsky offered him $1 million in seed money to start a website called The Point. 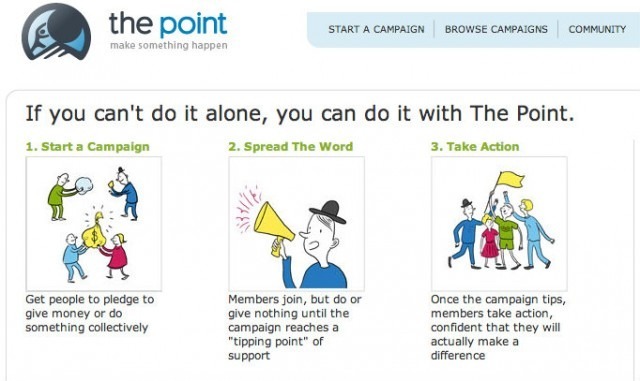 The Point, named in part after Malcolm Gladwell’s The Tipping Point, would, in theory, turn into a collective social action platform, bringing people together to practice social good. In practice, it wound up serving only as the launching pad for Groupon. Why is it called Groupon? 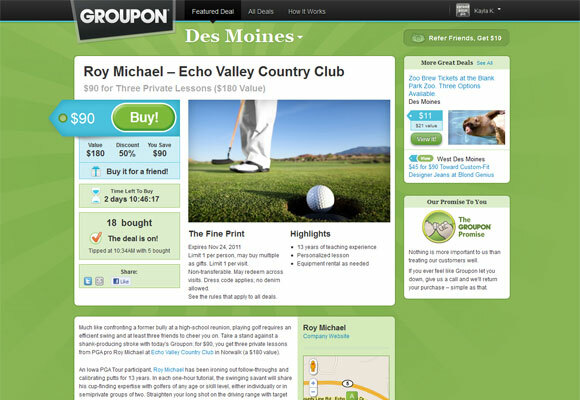 Launched in November 2008, Groupon is the most tangible aspect of what The Point hoped to be. It’s a web-based app that sells deals for local businesses to consumers in the market, taking 50% of the profit and a credit card handling fee. If, as Daily Deal Media states, The Point was “a ground-breaking approach to online collective action and fundraising” then Groupon, “a new creation named for a blend between Group and Coupon,” was its prodigy. In the eyes of founders Andrew Mason, Eric Lefkofsky and Brad Keywell, Groupon was the ideal name. The only catch was that, as sometimes happens in the online world, the Groupon.com domain was taken by someone living in the U.K. at the time. Because the owner expressed plans to launch a similar startup, he showed no interest in selling. 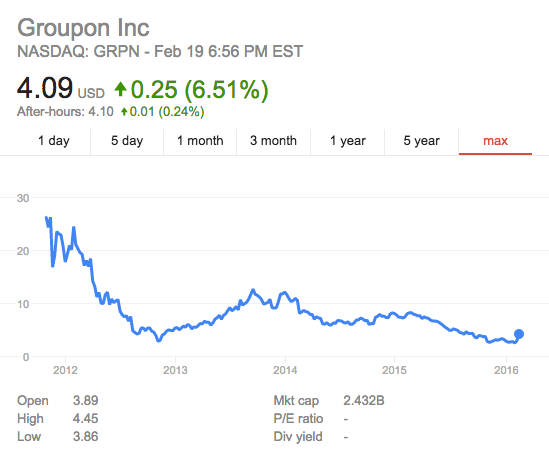 Groupon was forced to launch initially as a subdomain of The Point at Groupon.ThePoint.com. Even as Groupon gained momentum and its leaders offered a collaboration with the domain owner, he remained firm on his decision to keep it himself. In the meantime, Groupon continued building on its network via GetTheGroupon.com and through local domains like GrouponChicago. According to Groupon Works, “the world’s first Groupon was a deal for Motel Bar, located just downstairs from the Groupon office in Chicago, Illinois. After that first deal, businesses across the city caught on. Groupon ran deals for increasingly larger businesses, such as the Art Institute of Chicago, but maintained the absurd sense of humor that helped to garner attention from its very first customers.” Since their inception, they’ve expanded their categories from food to: health and fitness, beauty, getaways, shopping, home services and even created a POS system for restaurants called Breadcrumb, which is now owned by Upserve. The rest, as they say, is history. The company went from startup to profitable in one year and from profitable to valued at more than $1.3 million in the next. In 2010, they turned down a $6 billion dollar offer from Google and decided to take the company public in November 2011, raising over $700 million, the second largest tech IPO behind Google at the time. The stock price ticked as high as $31.14 and they ended the day with a valuation of more than $16 billion. However, the company has failed to hit expectations and has gone through numerous rounds of layoffs over the years, leaving everyone a little nervous about their future health. Last year, under the leadership of current CEO Rich Williams, they claimed operations in 500 cities and more than 48 million active customers, by far the largest group of people they’ve ever matched with coupons. Thanks for reading Why is Groupon called Groupon! What app do you use to seek a deal? #whyisitcalledGroupon.